Sentro 1771 presents seafood dishes that will surely find a home to your family’s repertoire of top picks whether you’re aiming to be healthy or simply finding comfort from your all-time favorite seafood choices. Guaranteed low in saturated fat, these dishes are not only irresistible, they’re also good for the heart. At Sentro 1771, tasty definitely means healthy too especially if you’re having smoked milkfish spring rolls (P270) which could serve as a filling and satisfying appetizer or entree. A festive combination of smoked milkfish, salted egg, mustard greens, onions and tomato that are rolled like spring rolls, it’s served with slightly tangy vinaigrette for some zing. An explosion of color, texture, and balance of flavors, it’s a lip smacking dish minus the guilt. 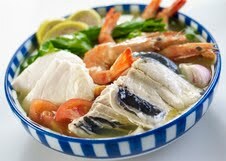 Equally-appealing and filled nothing but goodness of the sea, seafood sinigang sa miso (P250) is a classic favorite minus the meat but never lacking with mouthwatering elements such as gindara, milkfish, and shrimps seasoned with miso for more depth and flavor. Good food begets fresh and all-natural ingredients, and that’s the promise of this dish. It’s spirited, chunky, and heartwarming especially that the broth is made from scratch. Plus, it has chockfull of colorful diced veggies from tomatoes, okra, taro corms, daikon, water spinach, and eggpplant stewed in tamarind. And as a charming signature tradition, you get the chance to adjust the level of sourness of the soup by sipping and tasting it before serving. 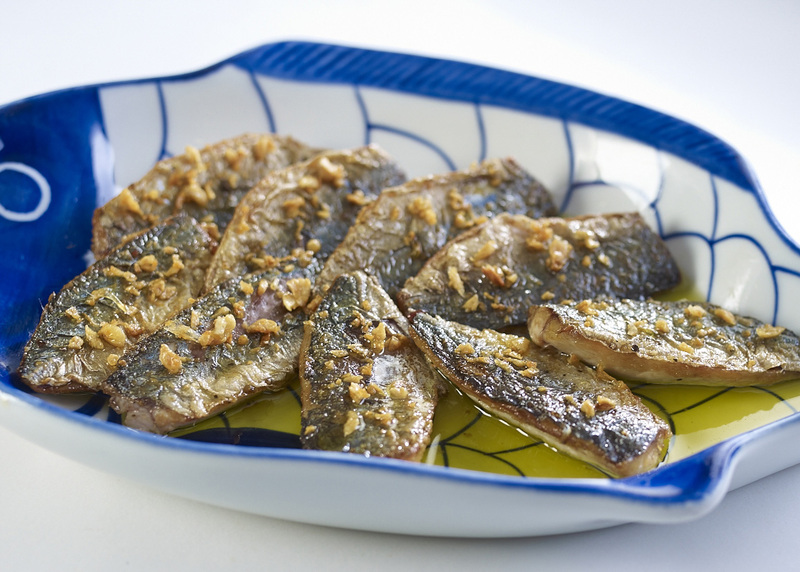 Fried usually gets a bad rap as something calorie-laden, but not Sentro 1771’s Rated GG or galunggong (grilled mackerel scad, P230 and P445). Yes, fried healthy food does exist at Sentro 1771 as this dish is fried in olive oil, filleted and generously sprinkled with toasted bits of garlic. Executive Chef Vicky Rose Pacheco not only takes pride in creating another certified Sentro 1771 original, the lowly fish was a given a rightful and impressive reputation considering galunggong is a rich source of protein and zinc. If your family is in for smart eating, count on Sentro 1771 in satisfying you with something healthy and tasty too. There’s nothing quite anything else like a brown rice that can make a marvelous pair with these amazing, healthy choices, so it’s a good thing that Sentro 1771 has this in the menu. So whether you’re a healthy eater or seekers of all-natural whole foods, find these Sentro 1771 dishes indulgent, never leaving behind the taste and joy of eating while bringing a new appreciation for something deliciously low-calorie. Sentro 1771 in Greenbelt 3 is open from 11am to 11pm (Monday to Sunday) while Serendra is from 7am to 10:00 pm (Sunday to Thursday) / 7am to 11:00pm (Friday to Saturday). For inquiries and reservations, call Sentro Greenbelt 3 (02) 757 3941 or Sentro Serendra (02) 856 0581. Sentro 1771 is a member of the Chateau 1771 Group of Restaurants that include Chateau 1771 in Greenbelt 5, Café 1771, WineBar 1771 and Sidebar at El Pueblo Real de Manila, ADB Avenue cor. Julia Vargas Avenue, Ortigas Center, Pasig City.